Born in 1977 in Arnsberg, Germany, Lucas von Cranach studied Business Management and Economies at the University of California, Berkeley, the London School of Economics and the Technical University of Berlin. He started off his career at EM.TV. 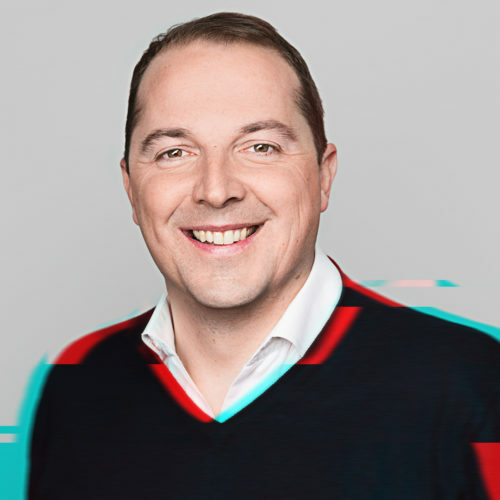 Along the way he joined other companies such as Bertelsmann Venture Capital, Siemens S.A. in Madrid, Golding Capital Partners and two years as an assistant to the Management at Horstmann Group. Football has always been Lucas von Cranach’s passion. After searching in vain for on-the-go live scores and news on his favourite team, 1. FC Cologne, he decided to take matters into his own hands and founded Onefootball – then motain – in 2008. He started out with a simple SMS service delivering live scores directly to the fans’ pockets. Shortly thereafter, Apple representatives shared early plans for the upcoming iPhone and its App Store. Onefootball, then known as THE Football App / iLiga, was among the first 1,000 apps ever released on the App Store. As one of the first Startups in Berlin back in 2013, von Cranach was able to win over one of the Top US Venture Capitalist Union Square in Series A alongside with Earlybird. In the following years von Cranach acquired further VCs like Lakestar and TPG Growth and strategic partners such as adidas, SAP founder Dietmar Hopp & family of the American Sports and Talent Marketing Agency Creative Artist Agency (CAA). When it comes to Individuals, names such as Herbert Hainer, former CEO of adidas and Jörg Kukies, former CEO of Goldman Sachs Germany and now State Secretary at the Federal Ministry of Finance are among the Investor list of Onefootball. Now, ten years after von Cranach founded Onefootball back in 2008, it became the global leading mobile platform for football fans.